Nice! I've always had a thing for the pre '85 B-bodies. 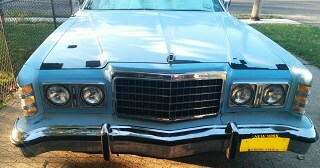 Especially the '77-'81 Caprices n' Impalas. That body work is coming along well. Silver is a super color for this car, by the way. 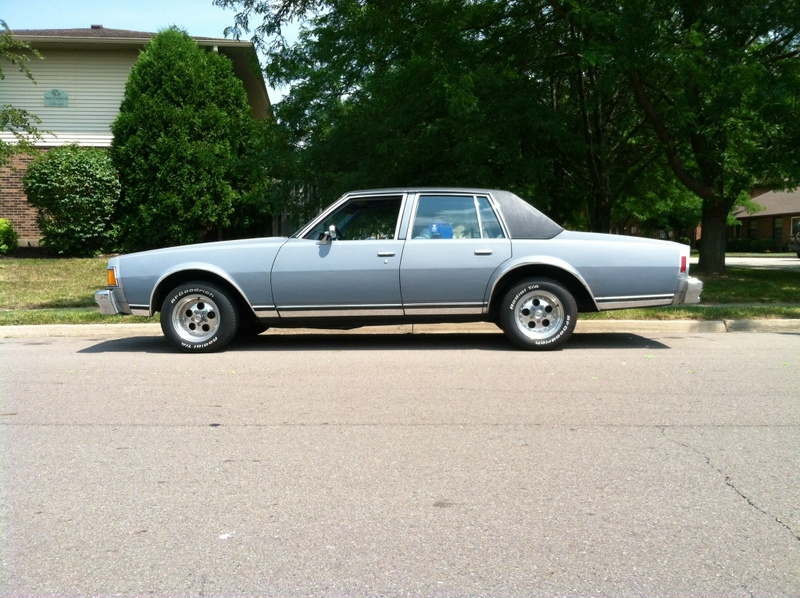 The old B-bodies are among the few cars that silver really works on. Love how much space there is to mount stuff like auxiliary gauges (column shifter FTW), just like in the panthers. Multi-function switch is.... multifunctional. Haha. Reminds me of when I had to start Ebyt with a screwdriver. Driver's side is el completo! Awesome work!!! I couldn't get anywhere near that smooth; even with some Jack Daniels. Air shocks installed! Just the perfect amount of air to make the wheel gaps front and rear the same! The whole back section of the car is finally painted too! What kind of wheels are those, and are they steel or aluminum? Really cool how the paint changes color from blue to dark silver depending on the amount of ambient light that hits it. Was that intentional? Looks sick regardless. The wheels are Eagle Alloy Gambler's, 15x8's all around with 235/60's for the time being. I want some 255/60's on the back though! I love the smoke grey color for the fact it almost looks blue with the right amount of light on it! It usually just looks grey, but I still love how much better it looks lol. This showed up at our Chicagoland Emergency Vehicle show a couple of years ago. 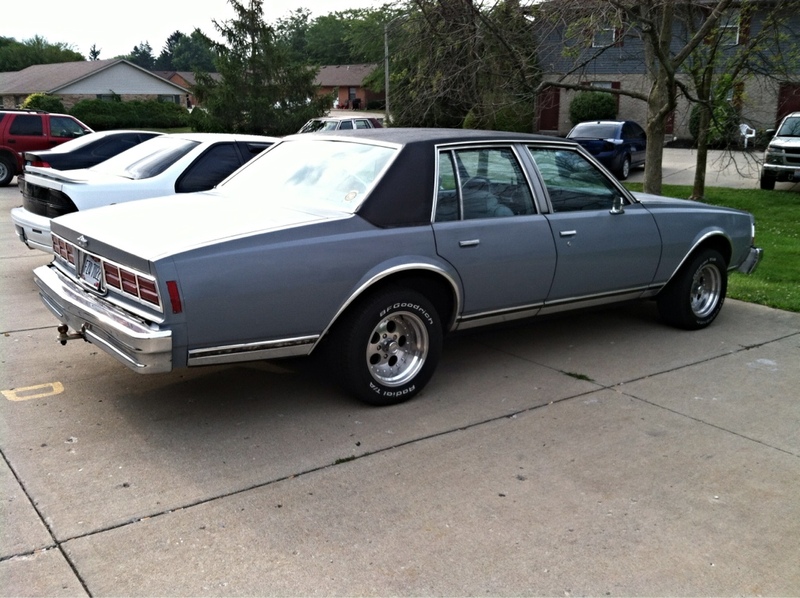 A mint 1977 Impala 9C1 police package with something like 30,000 miles on it. Loved that car, but all the wrong colors! I think the owner was trying to sell it at the show too. 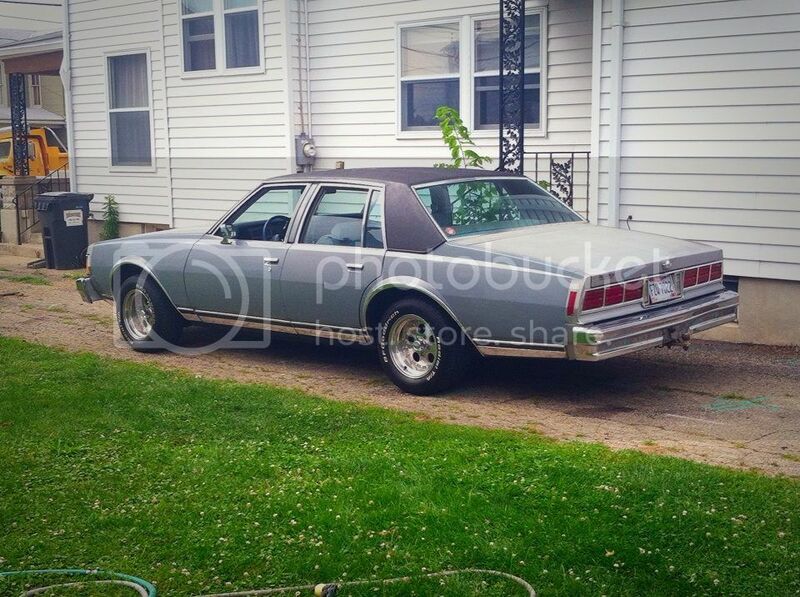 Trying to make it look like the Caprice from Naked Gun lol! I have seen the Chevy. VERY nice. I also know the owner of the Diplomat next to it. I'd love to own a Diplomat, my uncle has a real low mile one. Almost had a '79 St. Regis for my first car, before the tan and brown '84, but my other uncle sold it a few months before I got my permit. If I remember right, that wasn't a Diplomat next to the Impala. I think it was a 4-door Aspen. Last edited by neums; 08-13-2014 at 04:26 PM. Correct it is an '80 Aspen. I believe the CV NHP next to it is his also. He does great work and has so many cars, I can't remember them all. 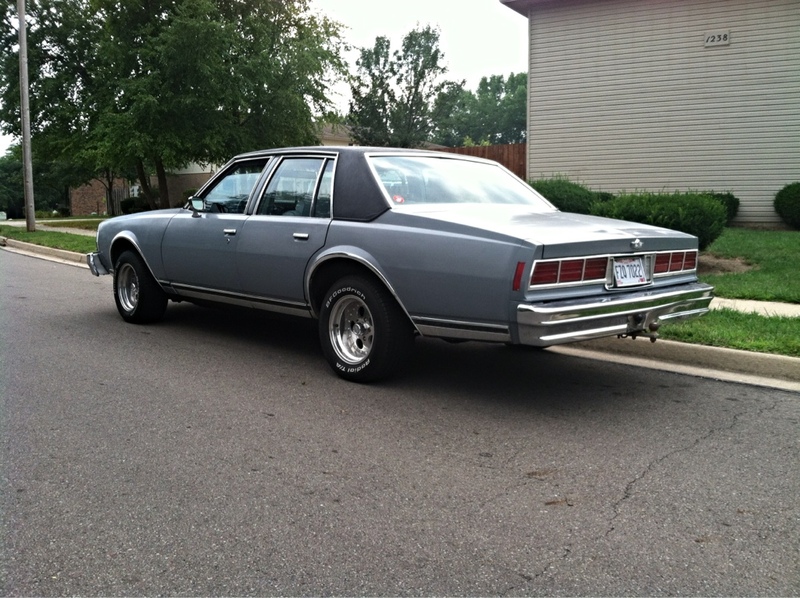 I think the 2-door Diplomats are sweet as hell. I've never seen one in person tho. Nice job on the paint btw! Thanks bomber! Got the passenger side painted up today too! Hazaa!! She's a good 50 footer now!